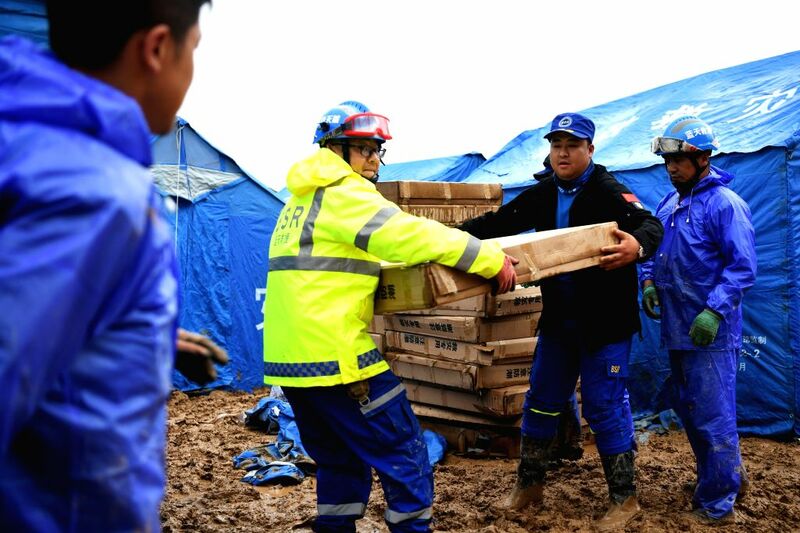 DONGXIANG, July 20, 2018 - Rescuers convey disaster relief materials at flood-hit Chenhe Village of Dongxiang Autonomous County in Linxia Hui Autonomous Prefecture, northwest China's Gansu Province, July 20, 2018. About 1.08 million people in Gansu Province were affected by rain-triggered floods, with 12 deaths, four people missing and 27,000 people evacuated. People clear the mud at flood-hit Chenhe Village of Dongxiang Autonomous County in Linxia Hui Autonomous Prefecture, northwest China's Gansu Province, July 20, 2018. 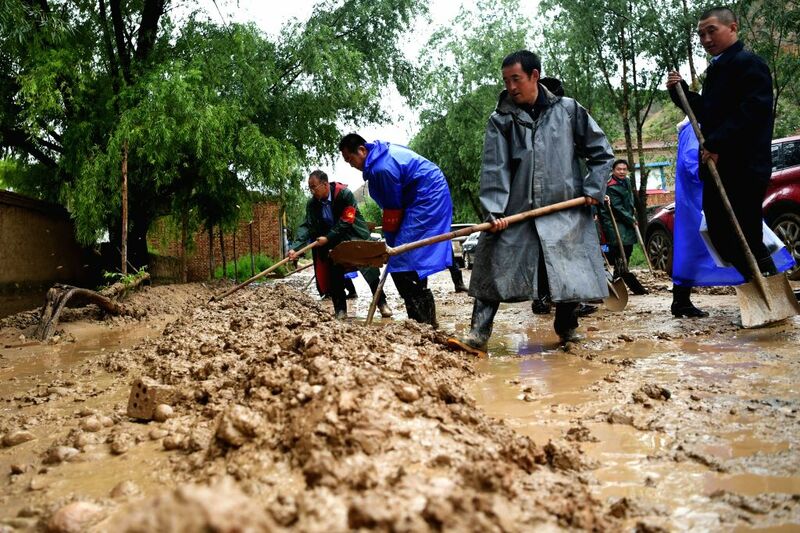 About 1.08 million people in Gansu Province were affected by rain-triggered floods, with 12 deaths, four people missing and 27,000 people evacuated.